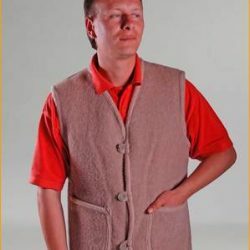 Home / Warming Wool / Vests / Camel Wool Sweater. We bring warmth to every home! Camel Wool Sweater. We bring warmth to every home! Composition: 70% – camel wool, 10% – sheep wool, 20% – acrylic. Camel Wool Sweater Improves Blood Microcirculation and Comfort throughout the body Warms with dry heat. 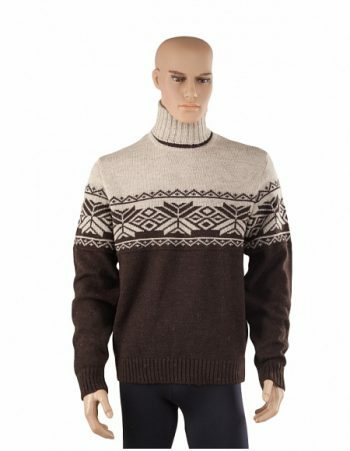 The sweater is made of soft camel wool. 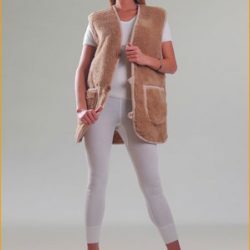 The unique property of camel hair is that it is antistatic, i.e. is neutral to static electricity and techno-aggression from all electrical appliances (computers, electric heaters, microwave ovens, etc.) Warm, cozy sweater will warm you in cold weather. In addition to the warming qualities of camel wool has a micro massage effect, stimulating the nerve endings of the skin. 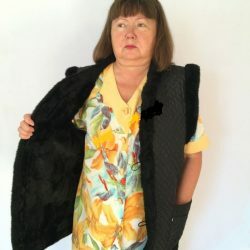 Also, wool is rich in natural substance lanolin – the best means of preventing radiculitis, osteochondrosis and cardiovascular diseases. 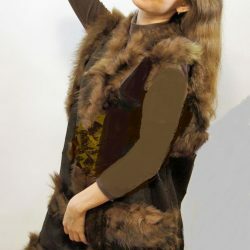 Warm Women’s Vest jacket sewn from natural sheepskin pieces.